The Air Jordan 1 Pinnacle “Vachetta Tan” is the next Air Jordan 1 Pinnacle colorway set to release as a follow up to the White and Black pairs. 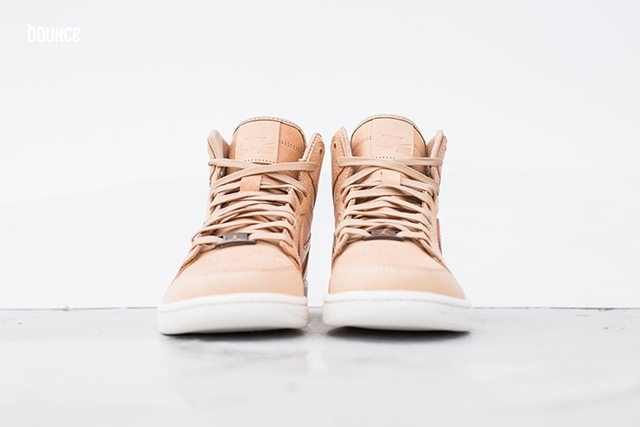 Unlike the other two version, this Air Jordan 1 features an premium Tan leather base for a luxury/high-fashion look. Instead of receiving the Gold accented detailing, this release is accompany with burnished Bronze detailing on the lace-lock and heel tab. To finish off the design, the shoe rests atop a full Sail rubber outsole and comes with premium waxed laces in two different tones of Tan. Check out the additional images below and look for the Air Jordan 1 Pinnacle “Vachetta Tan” to release on Saturday, September 26th, 2015 at select Jordan Brand retailers. The retail price tag is set at $400 USD. UPDATE: Following a few new updated release date changes, the Air Jordan 1 Pinnacle “Vachetta Tan” was one of those releases to receive a new release date. Now they’re set to debut on September 26th according to Foot Action. 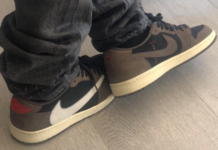 Below are a few new images via Bounce of the upcoming “Vachetta Tan” Air Jordan 1 Pinnacle release.